Dr Sally Keeling, Snr Research Fellow, University of Otago, Christchurch. Rebecca Abey: University of Otago, Christchurch. Her PhD research will include the application of statistical methods to the InterRAI-HC dataset to determine outcomes of health for those aged 65 and older. Karen Keelan: University of Otago, Christchurch. Her PhD research kaupapa looks to explore the experiences of Māori and Kaumātua in aged residential care in Canterbury and Te Tairawhiti. Joanna Clarke: Massey University, Albany. Her doctoral thesis (in Clinical Psychology) will investigate the psychosocial impact of participating in an intergenerational programme for the older adult participants. 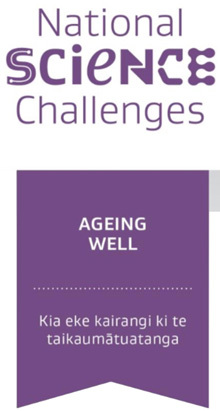 The workshop will provide an opportunity to bring together people embarking on research project work at postgraduate level in any aspect of the social study of ageing. It will offer a supportive and collegial environment for work with peers, and with input from more experienced researchers and advisers. 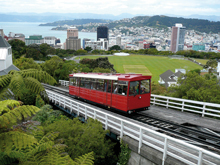 The workshop aims to combat the isolation commonly experienced by those who are engaged in cross-disciplinary and cross-sectoral work in New Zealand research institutions, and to support effective networking early in the research development process. Interdisciplinary research: all things to all people? Likely participants in this workshop (based on previous events) will be embarking on an age-related research project, and interested in development of their prior knowledge, whether this comes from community organizations, professional practice, or a traditional academic discipline. This workshop is therefore deliberately designed to build effective collegial networks, and to explore wider questions relating research work to its potential “end-users” in public, private and community sector organizations. Rebecca graduated from University of Canterbury in 2015 with an MSc in Statistics and a BA (Hons) in philosophy. She began working in the field of health care of the elderly with the University of Otago, Christchurch in December 2015 as part of the National Science Challenge. In June 2016 Rebecca began a PhD with the department of medicine, University of Otago, Christchurch. Her research interests include the application of statistical methods to the InterRAI-HC dataset to determine outcomes of health for those aged 65 and older. Karen has worked in the field of Māori health since 1998, and has worked for a number of years with Kaumātua and Kuia in the Older Person’s Health Service at the Canterbury District Health Board in Christchurch. Karen has a strong interest in Māori health research and in particular – health inequalities. She is a former member of the New Zealand Disability and Rehabilitation Research Alliance Group at Burwood Hospital and works part-time as a Māori Research Advisor for the University of Otago, Christchurch and is lucky to be part of the close-knit Hauora Māori team at MIHI. On a personal level, Karen is very proud to belong to her East Coast Ngati Porou people, and has very recently embarked on a new pathway – her PhD. Her research kaupapa looks to explore the experiences of Māori and Kaumātua in aged residential care in Canterbury and Te Tairawhiti. Joanna began studying towards a career in Clinical Psychology in 2011 after a 10+ year career in Public Relations. This journey culminated in her starting the Doctorate of Clinical Psychology programme at Massey University, Albany, this year. Her research interests center around older adults as evidenced by her Masters thesis which looked at the mental health help-seeking intentions and attitudes of New Zealand’s baby boomers. Her doctoral thesis will investigate the psychosocial impact of participating in an intergenerational programme for the older adult participants. Joanna is passionate about ensuring that quality mental health care is widely available to New Zealand’s older adults and aims to work with this age group upon graduation.